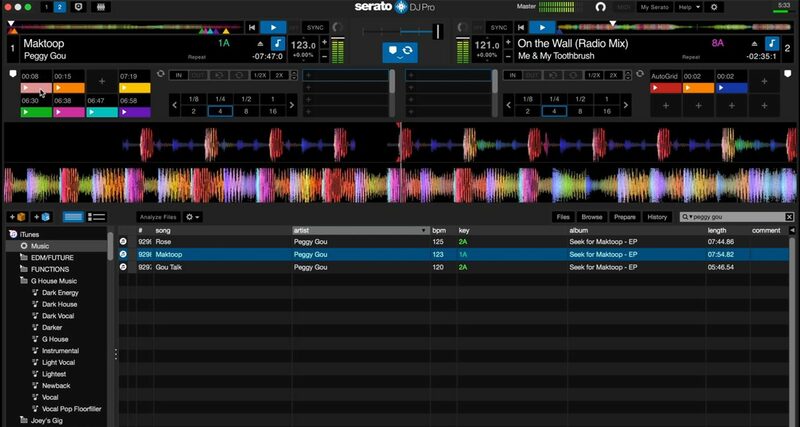 Serato DJ Pro is the latest version of Serato’s software for DJing, replacing the company’s Serato DJ app. It comes with some new features that are, frankly, long overdue: Practice Mode lets you try out blends and mixes using two decks and a crossfader without any hardware connected, and the new interface gives you clear, sharp text without the jagged graphics of past versions of the app. The 64-bit under the hood revamp means it runs smoother, which is a great thing because for Serato it’s all about stability, and Serato DJ Pro continues this tradition of being rock-solid. Overall, a welcome update to one of the longest running DJ apps around, though it doesn’t have anything new to offer that other apps like Virtual DJ 8 and Rekordbox DJ already have. Serato DJ Pro is a free download that you can just grab on the Serato site. It’s free to try if you want to have a feel for the software, but in order to use it with a supported DJ controller, mixer, or accessory you need to either buy the software at full price (US$99), upgrade to it (if you’re using a controller that’s bundled with Serato DJ Lite) or get it as part of a monthly subscription. If you’re using a Serato DJ Pro-enabled device, meaning it ships with a licence for Serato DJ Pro, you don’t need to buy or subscribe anymore. I downloaded Serato DJ Pro and installed it on my Mac (it’s also available for PC users). As always, installation was pain free and quick, and I was able to get it up and running quickly. I plugged in my DDJ-SB2 and got to work. The most striking new thing in Serato DJ Pro is the overhauled interface: it looks slick and sharp, like you’re seeing everything in high definition. And it’s about time – the user interface of Serato DJ looked increasingly dated with each year that passed as high-resolution laptop screens became the norm and other DJ apps took advantage of that development. 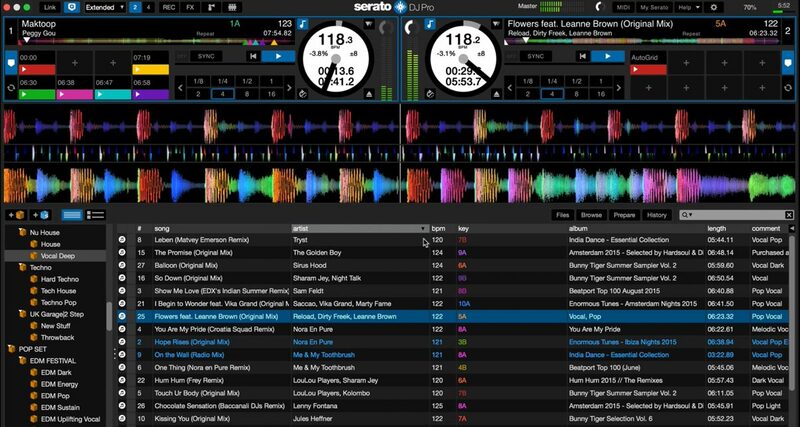 Virtual DJ 8, djay Pro and Rekordbox DJ are just some of the apps that have high-resolution graphic interfaces, and we can now add Serato DJ Pro to that list (we’re still waiting on Traktor…). Another byproduct of the refreshed interface is crisper text – you won’t see any jagged fonts here, and that’s great news for people with poor eyesight such as myself, because it’s so much easier to read track names in a dark club without straining. Call me shallow (and ridiculously near-sighted), but this has got to be my favourite new feature! Another feature that’s been a long time coming for Serato is Practice Mode. This is where you can mix with two decks, a crossfader, tempo controls, hot cues and your full library without any hardware connected to your laptop. In past versions of Serato, you needed to connect Serato-compatible hardware (eg controller, mixer, DVS interface) in order to “unlock” it so you have access to two decks. Otherwise, you were only presented one deck and your library in what was known as “Offline Mode”. Practice Mode is the direct replacement to Offline Mode, and is one of the single most requested features from the Serato faithful. 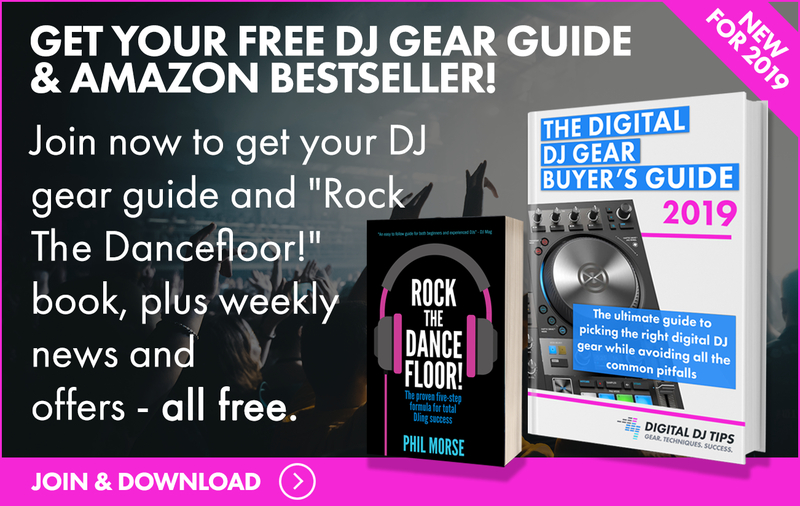 It’s finally here, and it works well – it’s great for testing out song blends, for placing cue points and managing your playlists, and it’s even possible to DJ at a gig with Practice Mode as a backup, though you won’t have access to headphone cueing. Still, it’s a good failsafe solution in case of hardware malfunction at a show. That said, it’s not a groundbreaking / revolutionary feature, but it is a nice to have. One of the big “under the hood” improvements in Serato DJ Pro is that it is now a 64-bit application. Without getting into too many technical specifics, it basically means Serato DJ Pro is able to make better use of your computer’s processing and can take full advantage of the available memory / RAM that you’ve got onboard. That equates to a more stable app, as well as the ability to store and access larger amounts of data faster, which is why Serato DJ Pro now has a virtually unlimited library size. That means you can have hundreds of thousands of songs and crates without Serato DJ Pro breaking a sweat, provided your computer is capable enough to crunch all that data. If you’re running a fairly modern laptop with decent specs you probably won’t push Serato DJ to its breaking point, at least in theory. 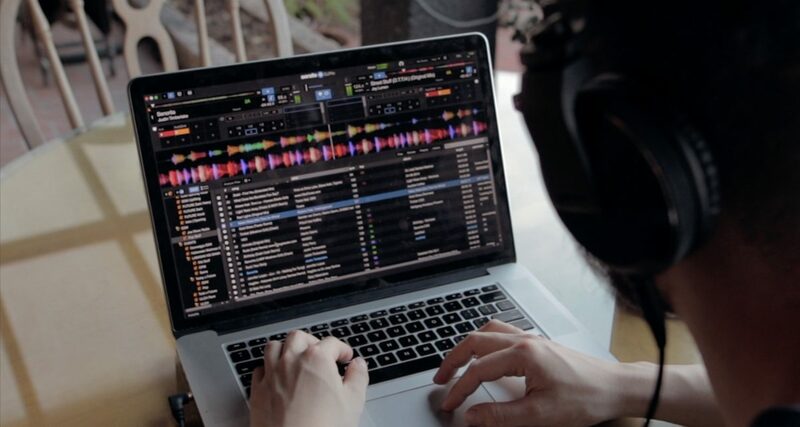 Overall, Serato DJ Pro is a welcome update to one of the longest running DJ apps around. Though it doesn’t have anything new to offer that other apps don’t already have, it’s useful to remember that Serato’s strength isn’t on innovation or cramming a ton of features onboard, rather it’s biggest selling point is its stability as a DJ platform. The reason it’s popular among club and professional DJs is that it is dependable. It works day in and day out, and it’s quite rare for it to crash, which isn’t the same experience with other more “full featured” DJ software (Rekordbox DJ is notorious for this). That stability comes at the expense of speed: Serato is slower to innovate compared to its peers, and often lags behind when it comes to adding in new features. The reason for this could because Serato simply wants to make sure that any new thing added to it doesn’t disrupt its stability. It’s kind of like introducing a new predator to an already-balanced ecosystem: it causes things to change, and if the change is too dramatic, the result is a total disruption that ends in an imbalance. What Jel said. Better library management could be one of Serato’s key points of difference. At the moment Rekordbox probably has the edge. I’d love advanced sorting options, play counters even a song-recommendation would be great. Hoping this update will be the start of something in the library management area. Thanks for your thoughts on Serato DJ Pro Jel & Younez 🙂 We’ve found it’s been very stable but we’re glad that these features are being added. I’ve been using Rekordbox myself for a few months and to be honest I’ve had a few hairy moments with it. If you don’t mind me putting in my 2 cents… off-lease refurbed 13″ i5 Thinkpads are plentiful and a cost effective solution to a Windows laptop. If you are lucky, you can find one with a little Quarto in it. The i5 will allow you to run Pitch n Time. Yeah, but the concept of RekordBuddy is completely different from that of the conversion tools I mentioned.